[Review] Does the Apple Watch change you? With the introduction of the Apple Watch Series, many people have commented about how it has had capabilities way beyond what its been marketed for. It is apparent that the Watch has been a worth while addition to the Apple line up as even an ad was made, showcasing real stories about how the Apple Watch has helped in critical situations and even saved lives. The following is a summary of my (COO, Chris Grainger) opinion towards the Apple Watch and if it has helped me. For starters, the idea of having daily ‘rings’ to complete is an amazing idea to help turn everyday activities into workouts and exercise. When setting up the Apple Watch for the first time, you have three options to set up daily goals for the rings, Beginner, Intermediate and Advanced. I have personally chosen Intermediate – since I’m fitness oriented but in no way a ‘gym junkie’ and also not a ‘couch potato’. Having these rings has inspired me to think, not only about completing these rings but to also manage my day so I can try my best to feel like I’ve gotten something done to help my physicality. Having the health app on my iPhone 8+, I was able to also estimate how close I would get to my goals each day at school and then see how much I would have to complete. This made me plan my days ahead of time so I could go on a brisk walk or a quick jog, overall helping me complete my rings and fitness at the same time. Having this is my personal motive to get fitter and I have seen results. This is also given me a ‘try hard’ orientation to claim all the available achievements for the Apple Watch in the Activity app. I am pleased to say that as of 2/27/18, I am on a 36 day streak and I’m not ashamed. I have lost more than 15lbs from doing miscellaneous workouts and training for sports and just in my spare time. This has improved my core, and my muscular health showing how the rings have influenced me. In terms of statistics, I have spent more than 34 hours doing workouts and burned over 14,000 CAL in the process – This is just for February ALONE! As COO, I travel a lot, and I am often amongst crowds of people that aren’t very lenient with letting other people who aren’t in their party through. Having SOS mode is a quick way to have access to my critical contacts and also make sure I don’t get separated from my team. Unlike in some of Apple’s Watch commercials, I haven’t had to use the SOS mode to contact emergency services or the ER (luckily) but I make sure I have ‘Auto Call’ switched to off. I also use the Torch mode on the watch, more specifically, the strobe mode as this draws attention to you and allows you to lead a party of people (despite looking a bit dorky with one arm in the air) effectively without getting lost. Following on from talking about “planning my day”, I have used the Apple Watch to my advantage to help improve my workflow to allow things to be swift and uninterrupted. An example of this, is when I get home from school, I am able to immediately access my Mac, thanks to the remote unlock feature and having it paired under my Apple ID. Having a cellular feature also enables me to call my contacts from my watch without having my phone so I can stay connected while having only the necessary items with me. For the price that you pay, you (in my humble opinion) are getting a bargain for your buck with having an Apple Watch. Even with just a Series 1 (‘0’), it can help manage your schedule and get your fitness into gear. Despite not having any ‘bling’ on my watch, I am happy with how it looks and how it functions according to my standards. I highly recommend that if you have the appropriate funds, you buy an Apple Watch as an investment as it will most certainly help you.  Chris G, COO of Appleosophy.